Throughout the Syrian war, the Western media has largely misrepresented the situation in the region, acting like a propaganda machine to serve as a mouthpiece to the interest of their governments, Richard Becker, of the anti-war Answer Coalition told RT. 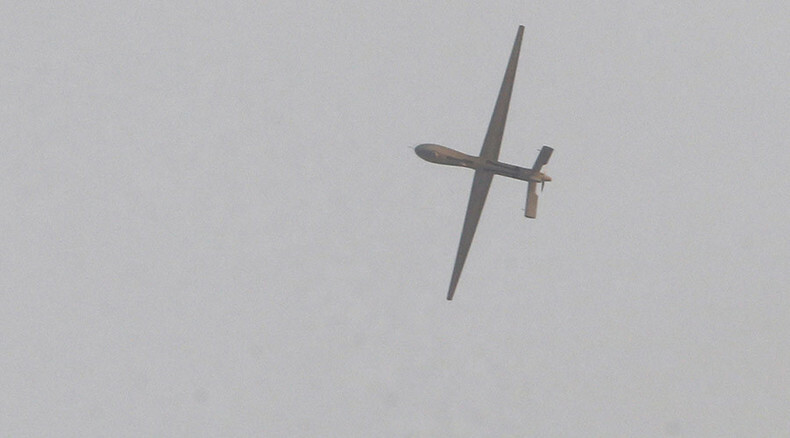 Turkey said on Friday that it had shot down an unidentified drone, which violated its air space near the Syrian border. There has not been any official confirmation regarding its origins, but the Western media has been quick to conclude it was Russian, citing unnamed sources and referring to a supposed picture of the unmanned drone posted on social media. RT:What are your thoughts on the credibility of Western media reports using unnamed sources to make their claims that the downed drown was ‘certainly’ Russian? Richard Becker: I think their credibility is extraordinarily low, given the way that they have reported the war in Syria for more than four years, and the fact that…the Western and Turkish mainstream media as well, have very much misrepresented what is going on. The different sides in the war grab hold of anything that they can to try to discredit the side that is fighting against the reactionary forces that are trying to convert Syria into a sectarian state that only one people can really live in. We know that the manufacturers of the drone that they claim they shot down have said, “That’s not our drone.” That adds to the undermining of whatever credibility they have. RT:The manufacturer also said that the image of the pictured drone is different to the Russian model, adding that there has been no official confirmation from Ankara of the drone’s origin. Additionally, if the drone was hit by a missile, there would be nothing left. Why isn’t any of that being widely reported by the western media? RB: I think in times of war – and we are in war time, the different powers are involved to different extends - the corporate, mainstream media act like another branch of the government. That has been the case for many decades, centuries in fact. They serve the interests of what the Pentagon, or the White House or [President Recep Tayyip] Erdogan in the case of Turkey is saying. They serve as a propaganda machine, not really as news reporting when it comes to war. RT:Recently, the Western media also referred to videos posted by rebels in Syria of alleged civilian casualties from Russian strikes, presenting no independent proof again. What’s your assessment of how these airstrikes are being portrayed? RB: The Russian military has entered the war at the request of the Syrian government. The other side … supporting the various ‘rebel factions’ as they are called…the US, Britain, France, Saudi Arabia, Turkey, Qatar, and others have been on the other side. So, the intervention of Russia is seen by those who want to bring down the Syrian government and destroy the Syrian state as something that is antithetical to their interests. So, we are not getting anything from the media that we can regard as credible but what is fodder for the propaganda machine in the war against the secular and legitimate government of Syria.